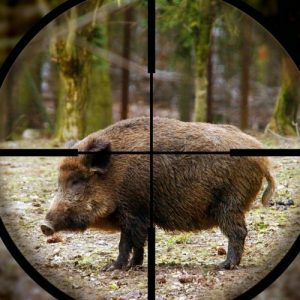 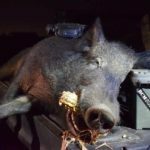 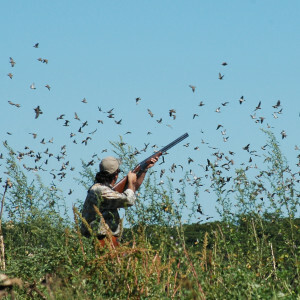 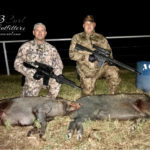 Book a Three Curl North Texas Thermal Hog and Pig Hunt. 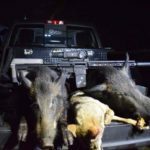 Price includes unlimited pigs and ammo as well as overnight lodging. 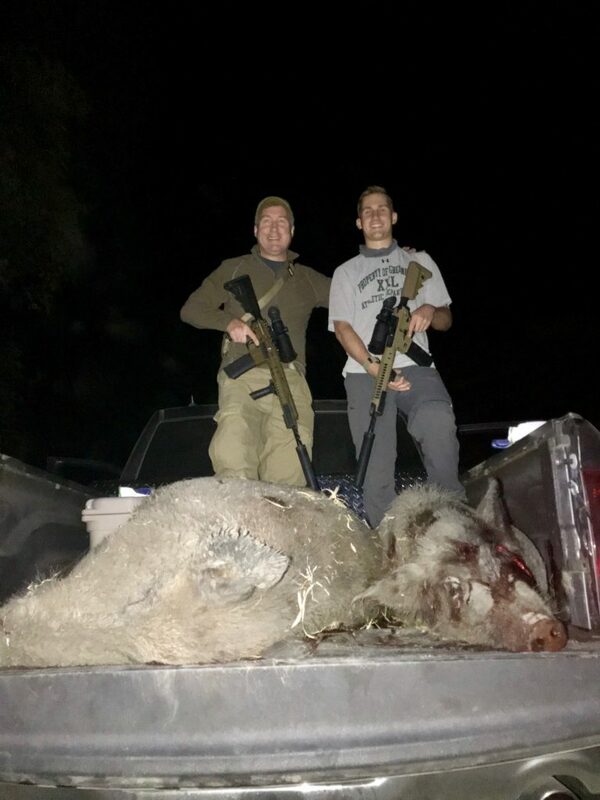 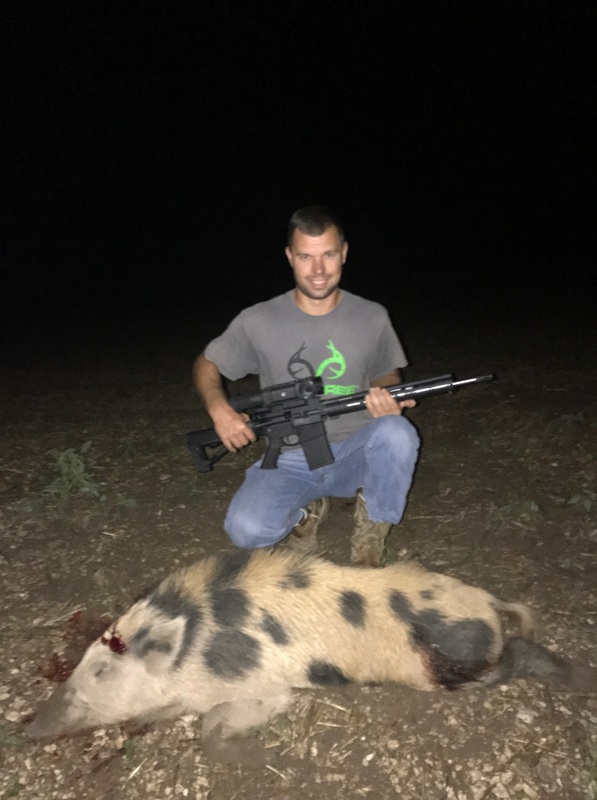 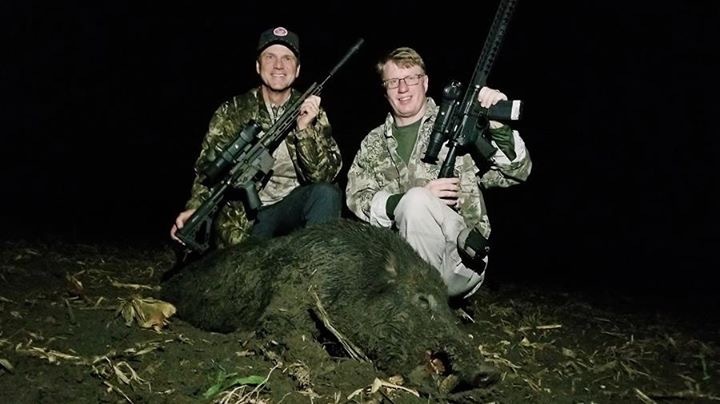 Mow down pigs with a thermal mounted sight on a semi-automatic AR. Minutes from Dallas and Fort Worth. 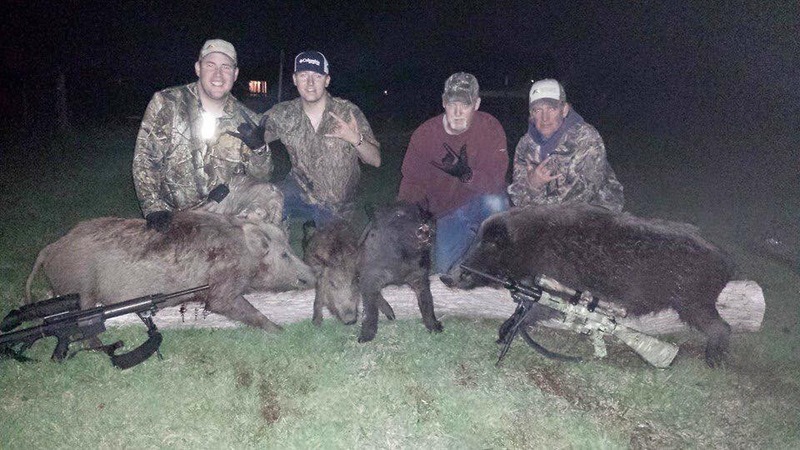 Farmers are overrun on over 45,000 acres. 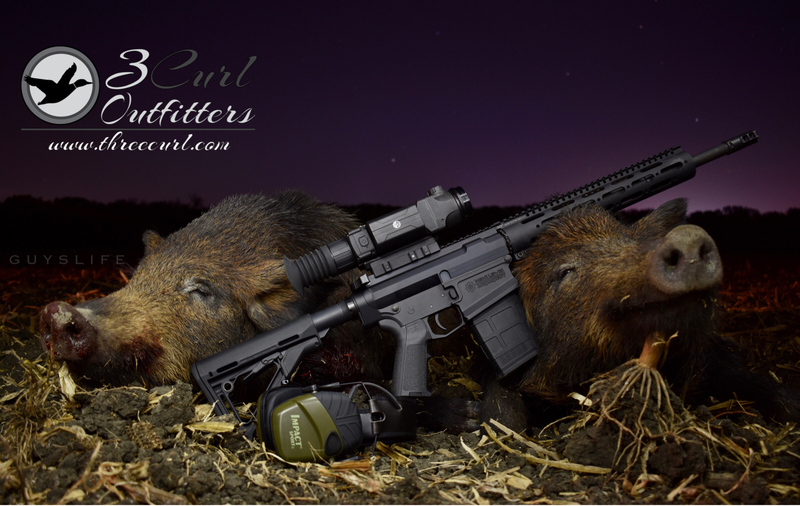 Fields are scouted nightly, and we will hunt fields where we have seen pigs the few nights before. 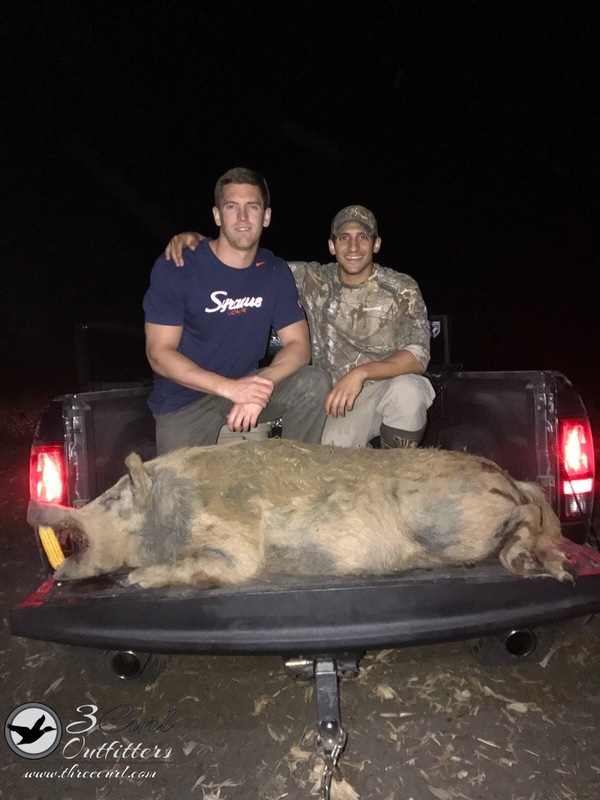 Minimum of three (3) hunters to book. 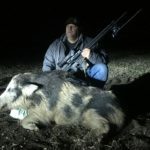 Stand and Feeder Hunts also available! 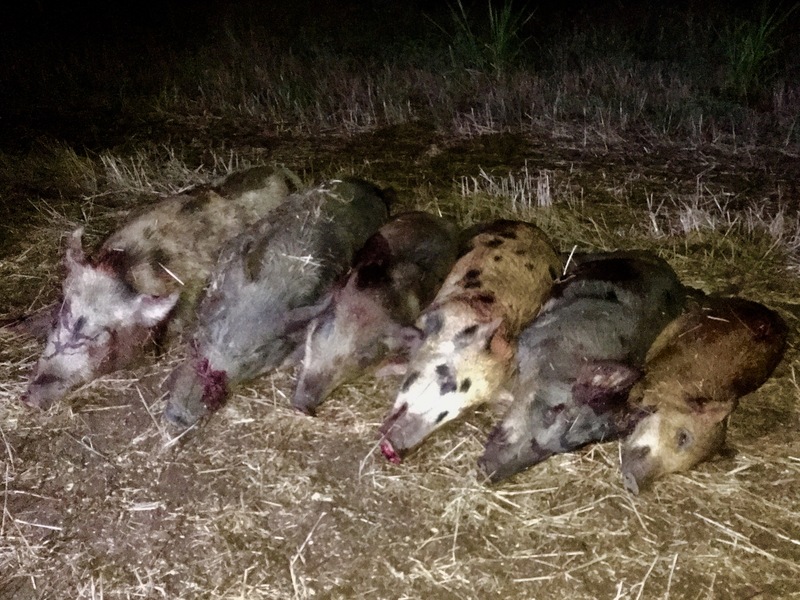 We have more than enough space for you and your friends, lots of pigs right now! 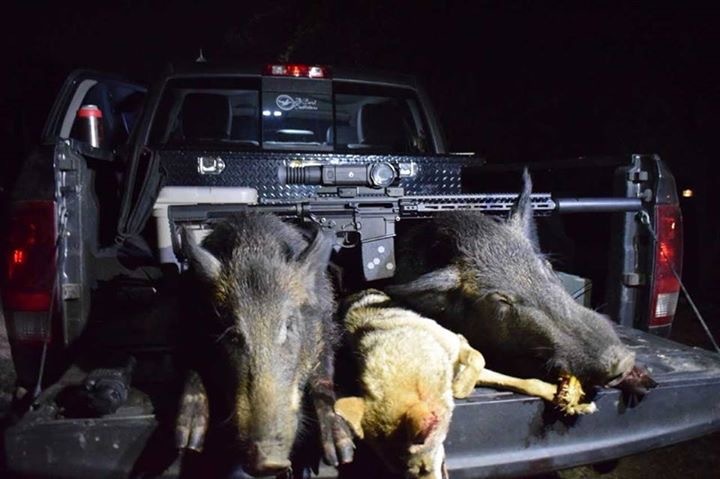 Call us anytime – 469-289-1464 (1HOG) or book online right here. 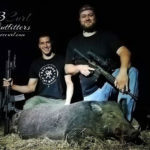 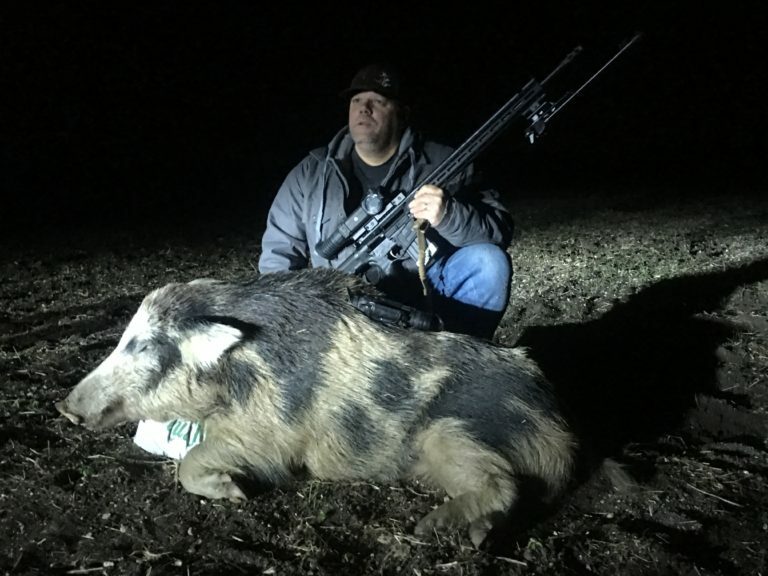 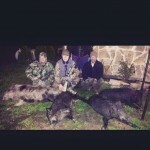 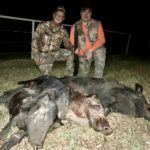 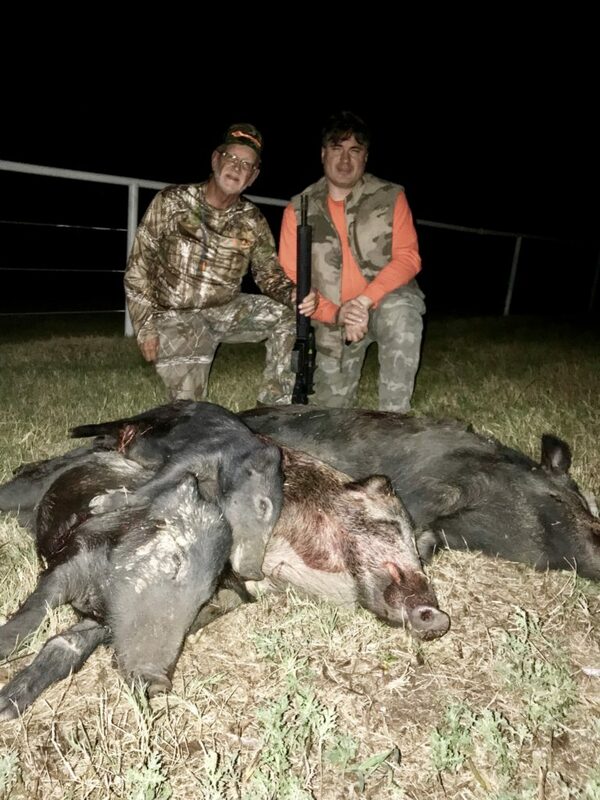 This North Texas thermal pig and hog hunt price includes unlimited pigs. 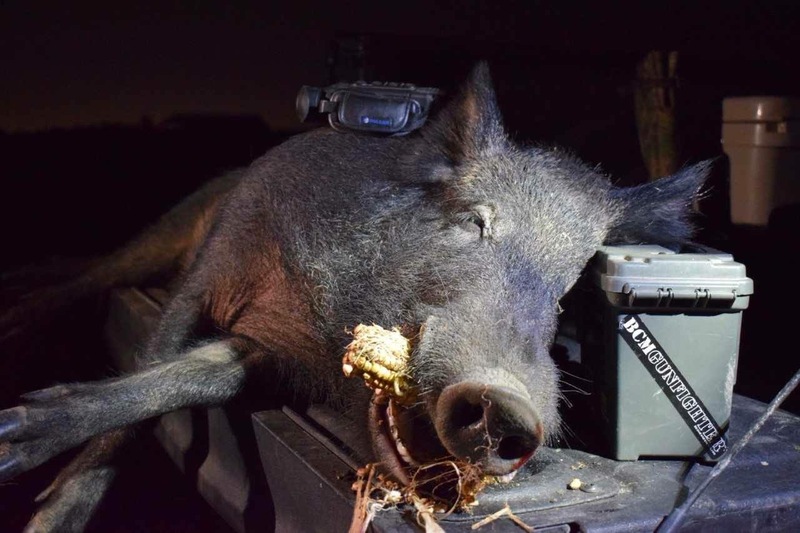 Call us anytime – 469-289-1464 (1HOG). 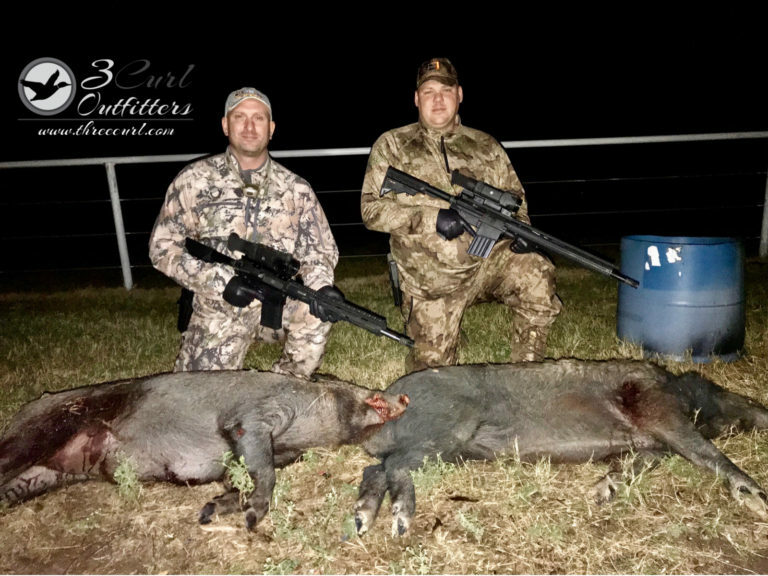 Thermal hunts are fully guided, we are hunting over crop fields and it is by far the most successful hunt we have with a 100% success rate. 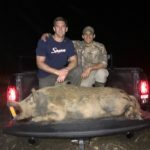 Your guide will take you from field to field where we have had pigs active while scouting days prior to your hunt. 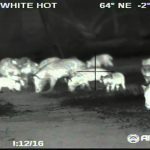 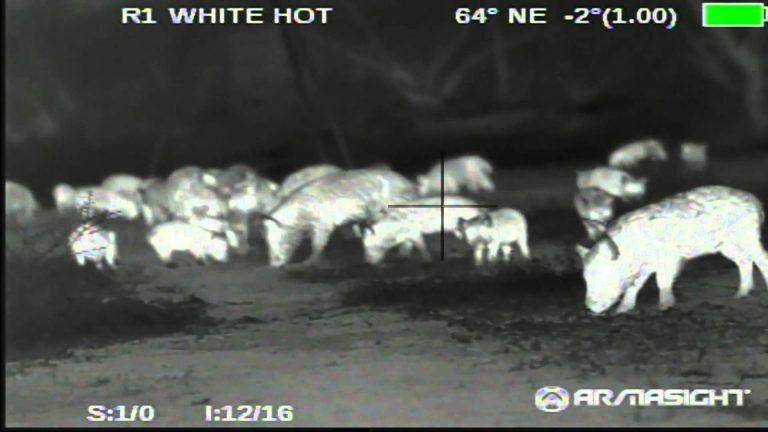 We use the best thermal imaging equipment available to spot and stalk pigs within 30-40 yards and take as many as we can then move to the next field and do it again. Most nights we average 2-4 stalks in a hunt. 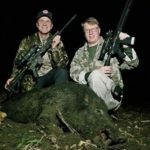 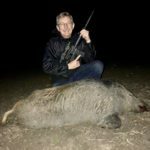 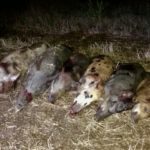 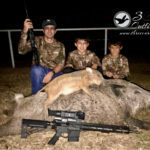 Hunt includes unlimited pigs with no kill fees, gun for each individual with thermal equipment, ammo, and lodge for the night. 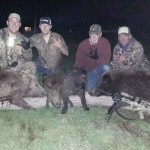 Enjoy a night at our Three Curl Lodge located just south of Waxahachie,Tx only 30 minutes south of Dallas. 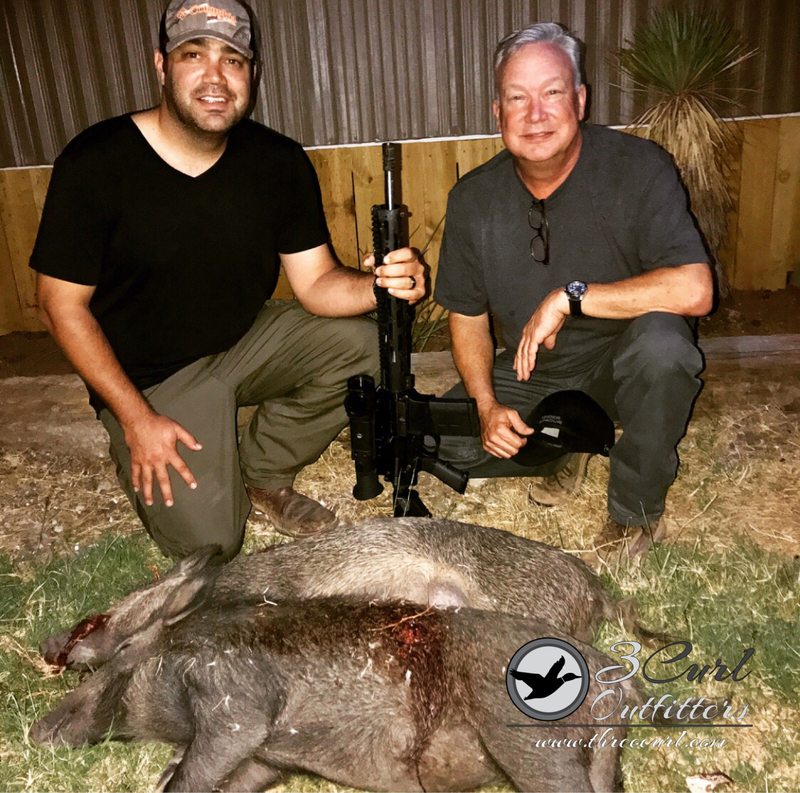 Our lodge sits on a 1,000 acre ranch that many of our hunts are ran on, and is within minutes from some of our other prime hunting locations. 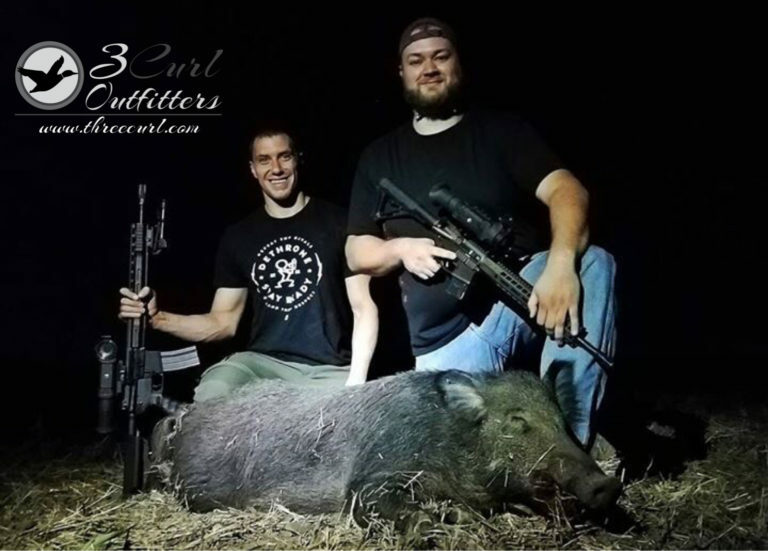 We will have a bottle of TX Whiskey from Three Curl Outfitters waiting on you to unwind by the campfire. 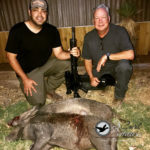 The lodge is fully furnished and has a full Kitchen, outdoor deck, satellite TV, games, and more for your use. 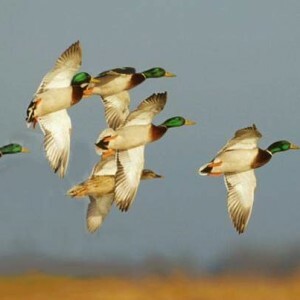 With 6 bedrooms and up to 14 beds, there is plenty of room for your group. 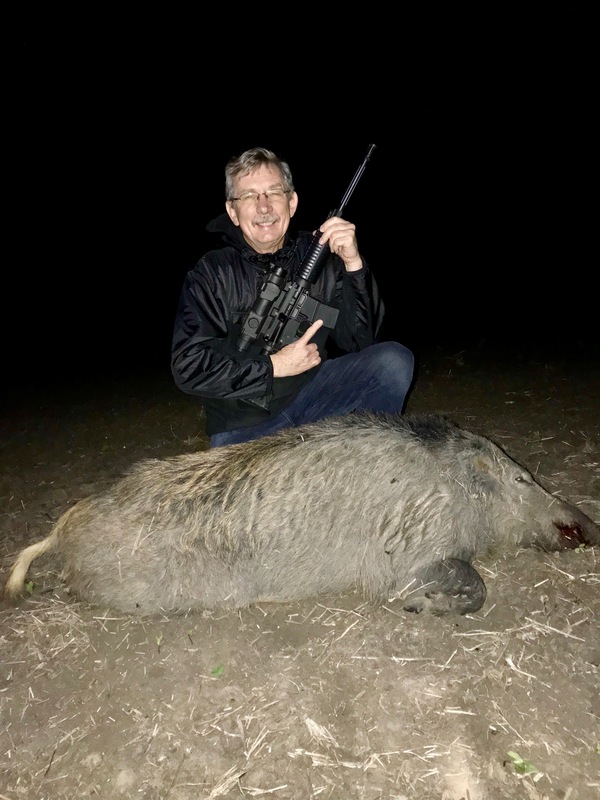 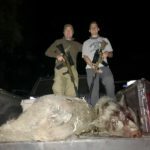 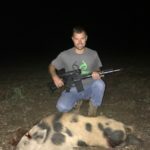 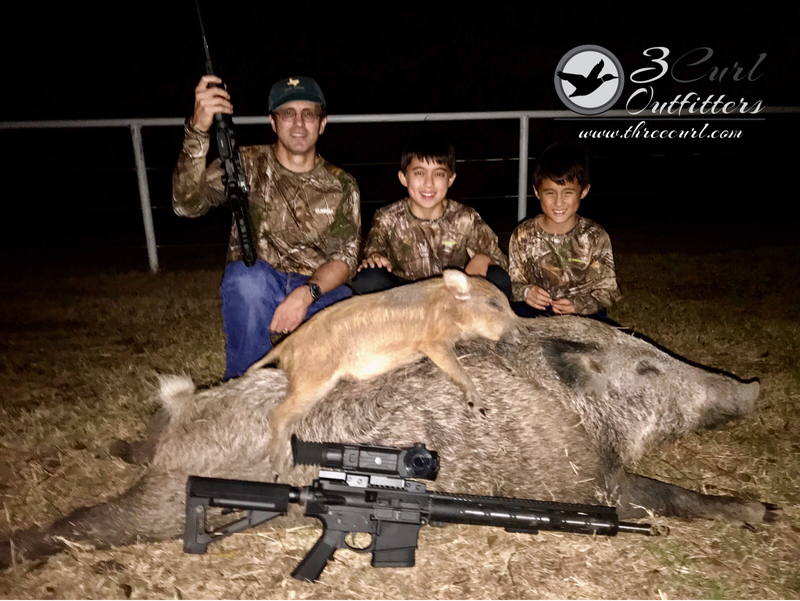 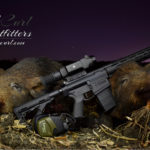 A Three Curl Thermal Hog and Pig Hunt – filled with excitement and reward, just check our our reviews.